Solar electric fencing system: to keep wild animals, e.g. elephant, rhinos, bears, inside National Parks; and to protect crops from animals. 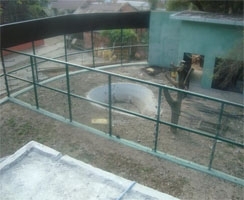 Such systems are in use at the Kathmandu zoo , Chitwan and other National Parks.